Next postHow Often Do You DNF a Book? 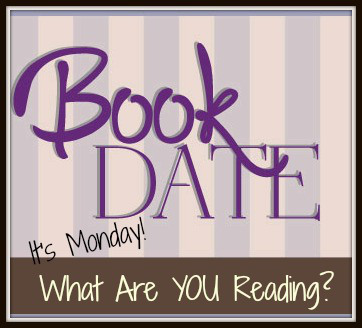 As usual you have some great reads that have been added to my WTR list at Goodreads! Thank you for such a great post and party! Whoa that’s a good sized purge! I need to do that again. It’s been 2 years since I did one on there. I’m so glad you love Marilla! I really enjoyed it and it has made me want to reread all the Anne books. I think it’ll provide some new insight to Marilla as a character. Didn’t Sarah McCoy do a wonderful job. OMG. Great job on your Goodreads TBR! That was quite an accomplishment. Thanks Katherine you made me laugh. Oh, I’d love to read the Marilla book! I am newish to Anne of Green Gables but definitely a fan. So impressed by your whittling down your TBR list. Mine is on a spreadsheet rather than on Goodreads, but I think it is close to (maybe over!) 1000. It’s a list I’ve kept up for over 15 years, so I’m sure I could reduce it a BIT. Enjoy your books this week – and thanks for hosting! We aren’t going to read all the books so I guess its like doing a Marie Kondo on them before we read! Hope you are enjoying it Debbie. I skipped that trilogy of hers even though usually I do read them. THE BEACH HOUSE looks good. ENJOY your books and your week, and thanks for stopping by my blog. These all look so lovely. I love sneaking in a book from my TBR pile. I used to feel really guilty if I read an “ older “ book. I am trying to get over that. Usually the book is still good even though its older!! If its not then no qualms about tossing it! Good idea to cut back on the TBR list. I have over 800 on mine and need to trim it down.Thanks for hosting. Have a great week! I love Sonja’s books. I hope you enjoy True Places. Have a great week! I think I will Susan, I actually have her debut book on my Kindle which I never read – yet! I love Mary Alice Monroe’s books. I hear she has a new one publishing this year! Yes Mary I saw that on Instagram and marked it down to read. I have to catch up on Nicole Helm’s books. I enjoyed the first one in her series. The Rhys Bowen book looks good. Hope you have a great week! Glad to hear you enjoyed Marilla. I am still working on review books, but then I am diving into it. Cowboy books are always fun. Hope you have a great week. I’m curious about Bowen’s book. I don’t use GR to track my TBR list but I still need to update my GR account, that’s for sure. Enjoy your reading week. I don’t put TBRs on Goodreads anymore but I have waaay too many on my kindle shelf and plenty paperbacks and audio too. All of your books look like good reading/listening. Have a good week! Wow, congrats on cutting your TBR down so much. My list is around 500 books. That’s more than I’ll ever be able to read. Have a great week! I have True Places on my Kindle…I should read it soon. Enjoy your week, and I must confess that my Goodreads TBR is all about books I might read some day, and I seldom pay attention to the list. Until I actually get the books to match those titles. That’s a smart idea, to go through your TBR and knock out what you’re not interested in anymore. I’m going to do that! I’ll work on my post tomorrow so I’ll link up then. I got my Goodreads TBR list down to 0. It is kinda nice, but not a true picture! LOL. The Beach House was a good read.